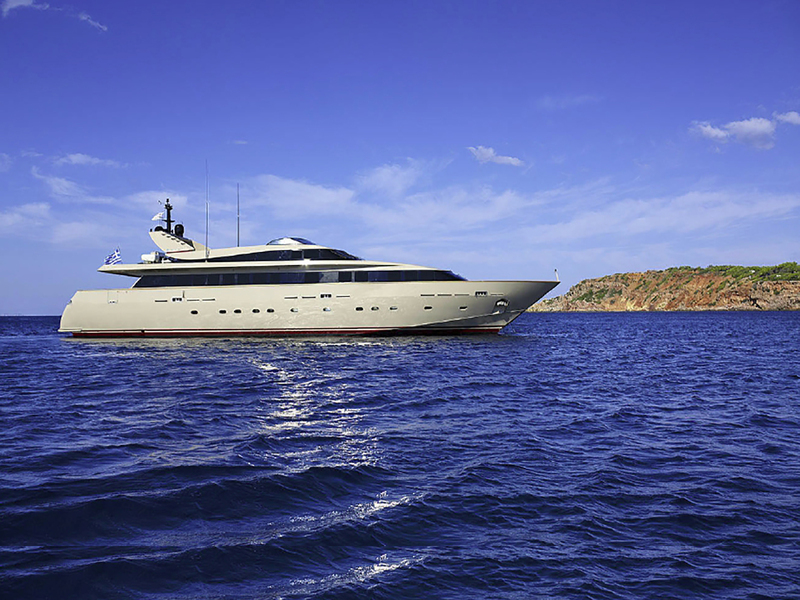 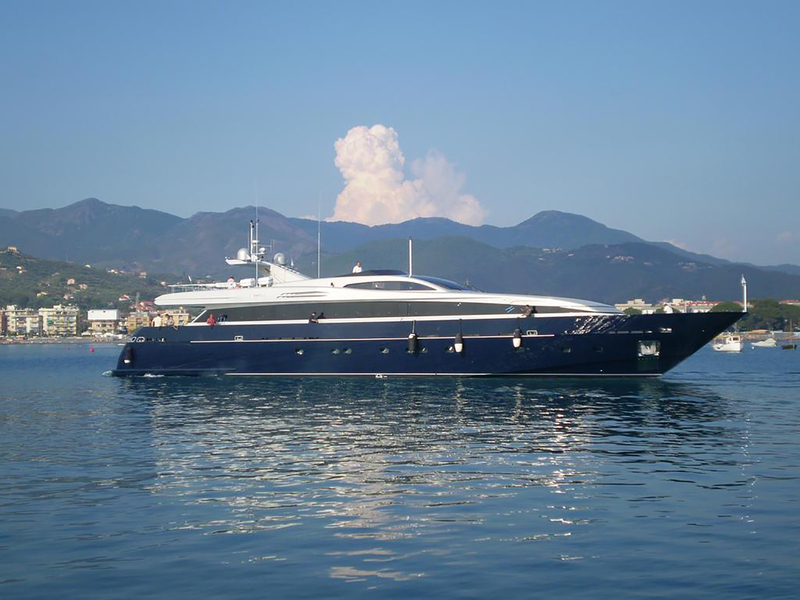 Beautiful 38m Benetti in perfect condition. 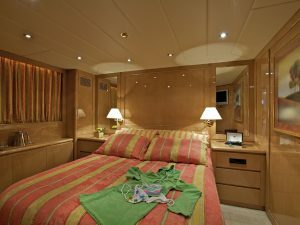 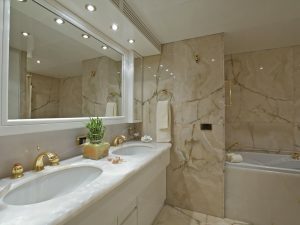 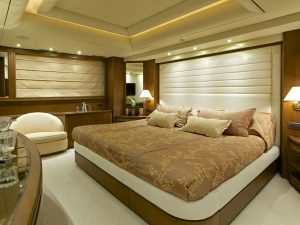 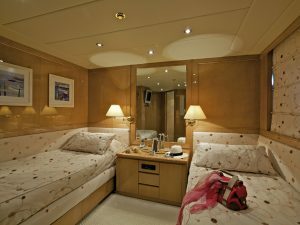 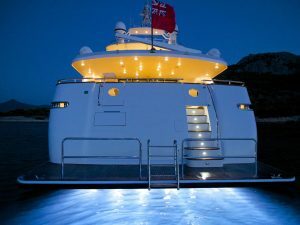 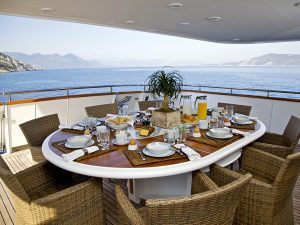 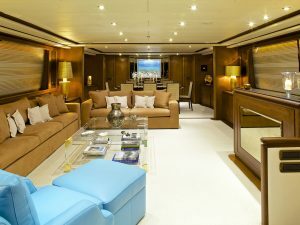 She can accomodate 10 guests in 5 en-suite cabins. 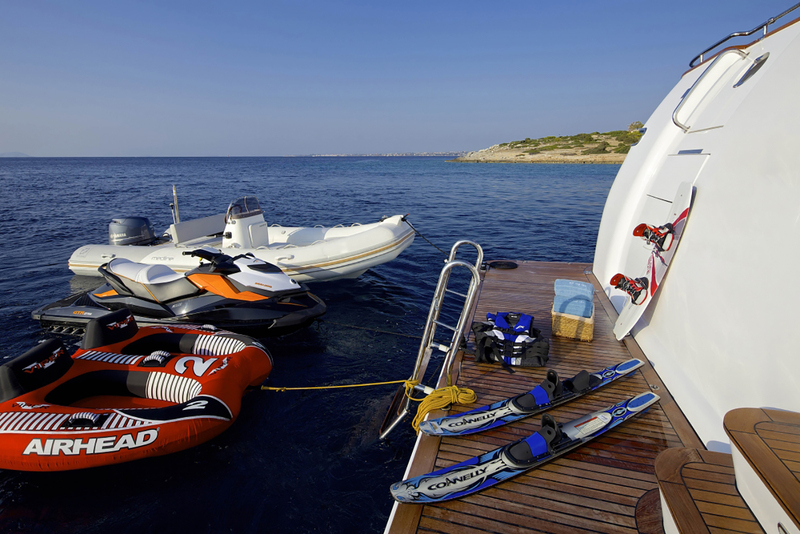 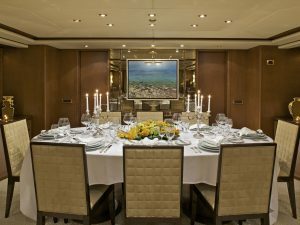 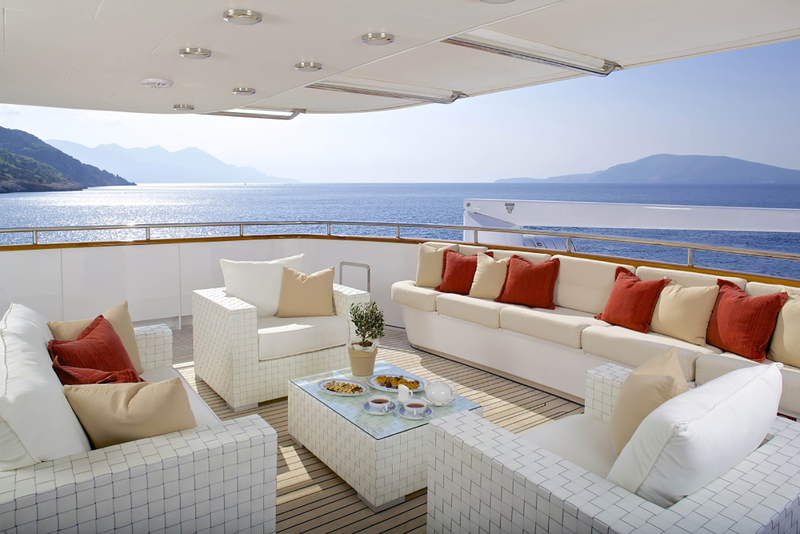 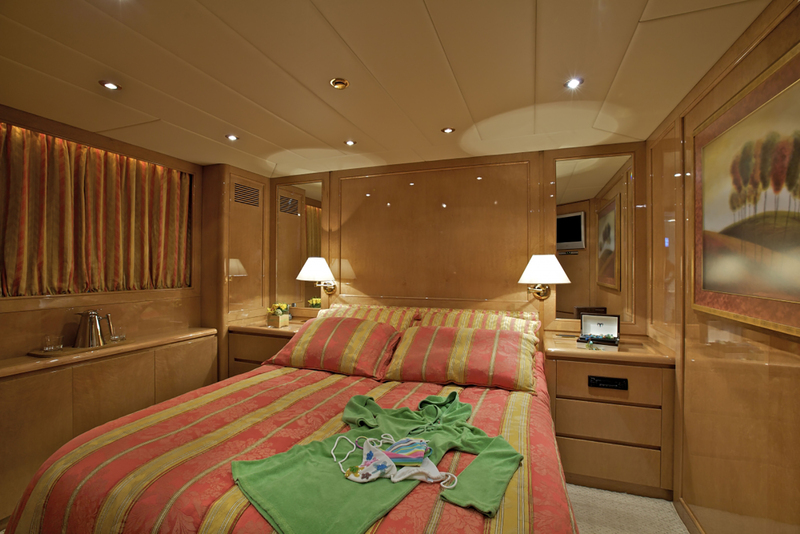 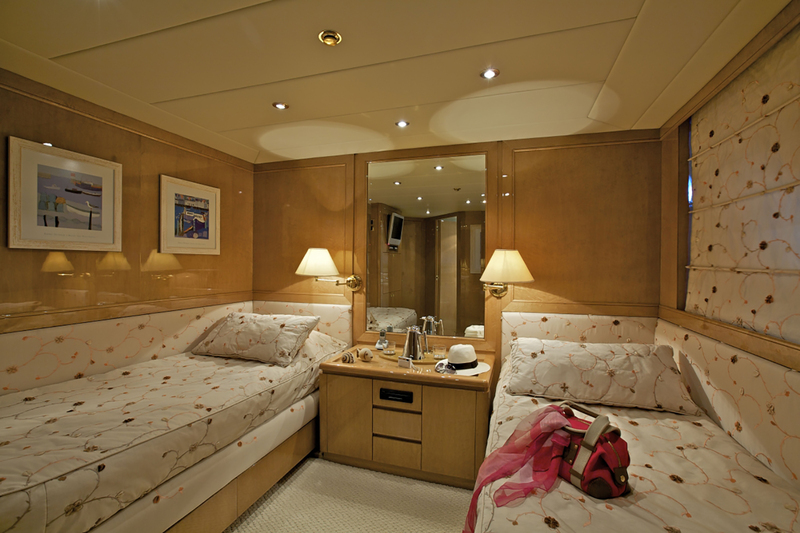 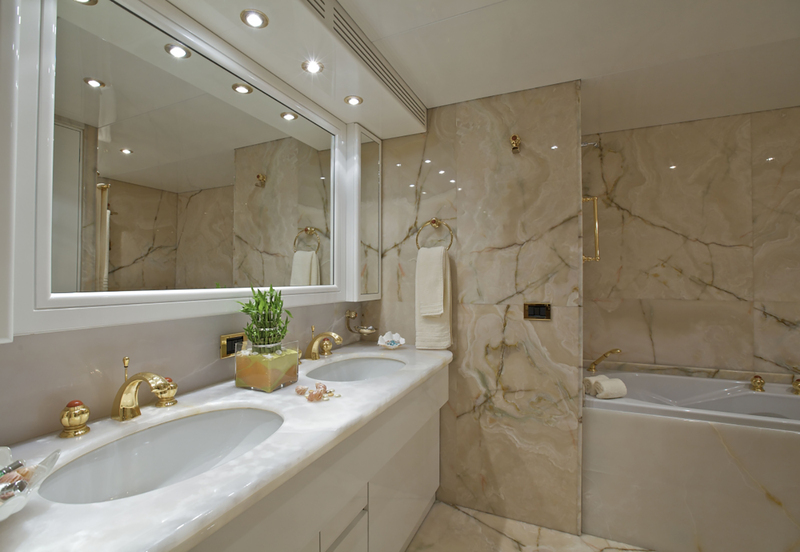 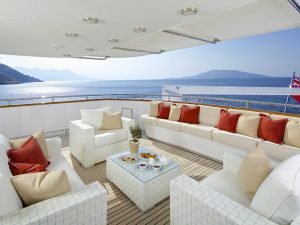 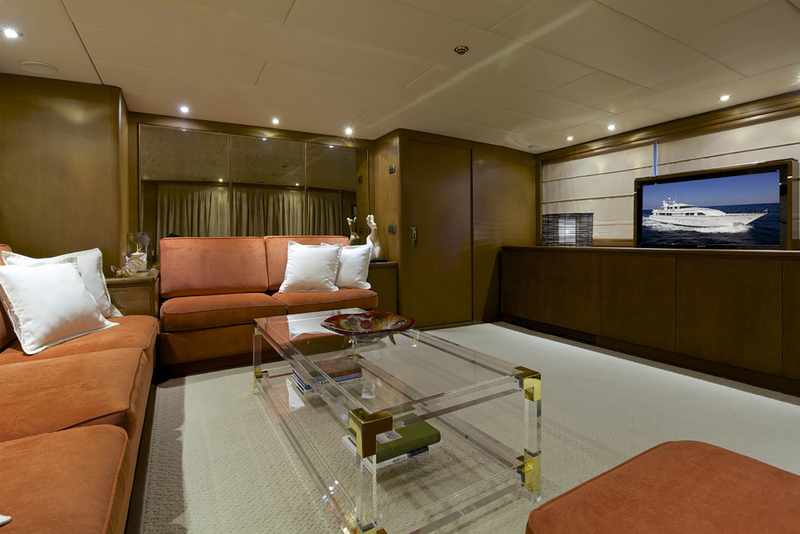 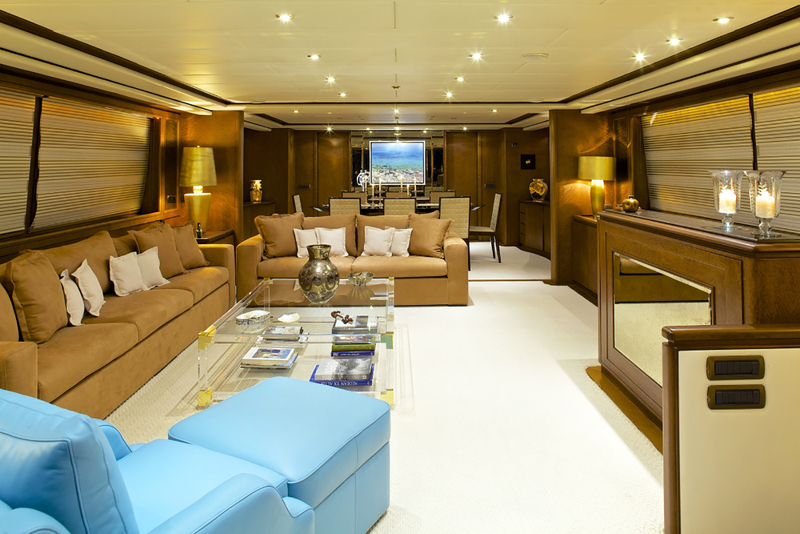 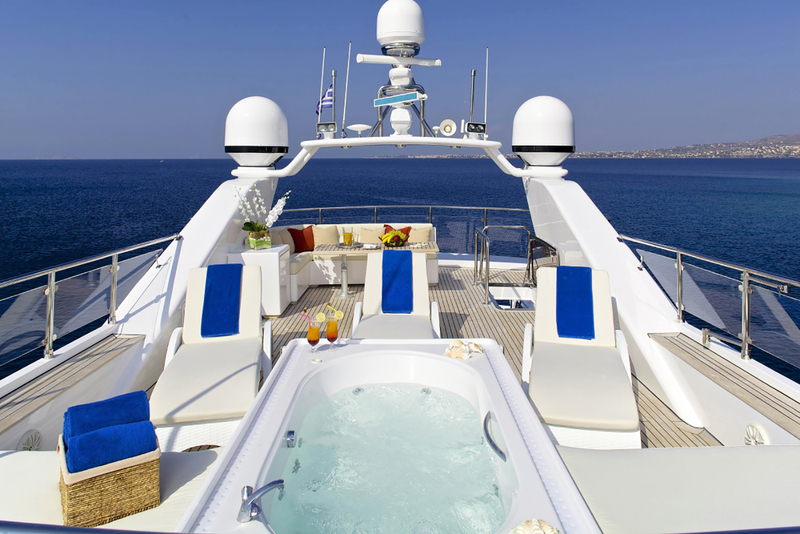 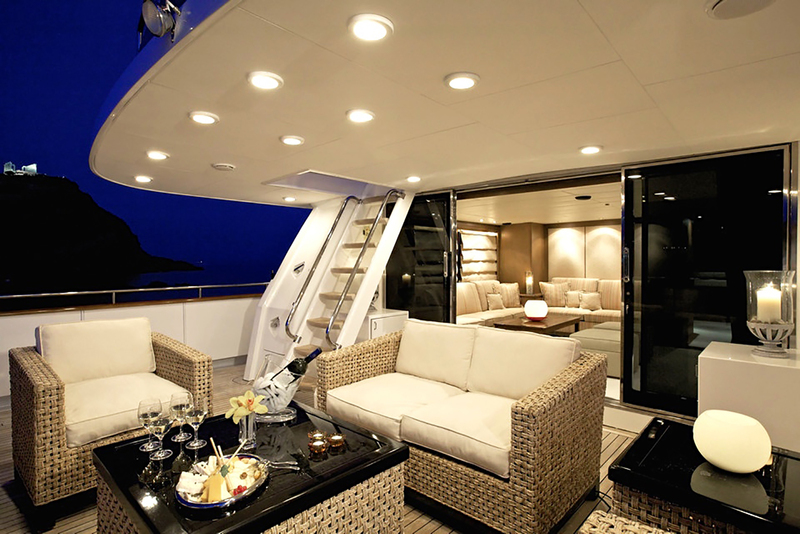 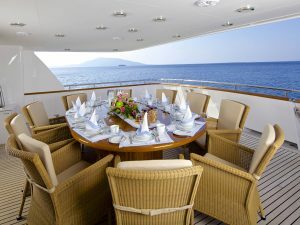 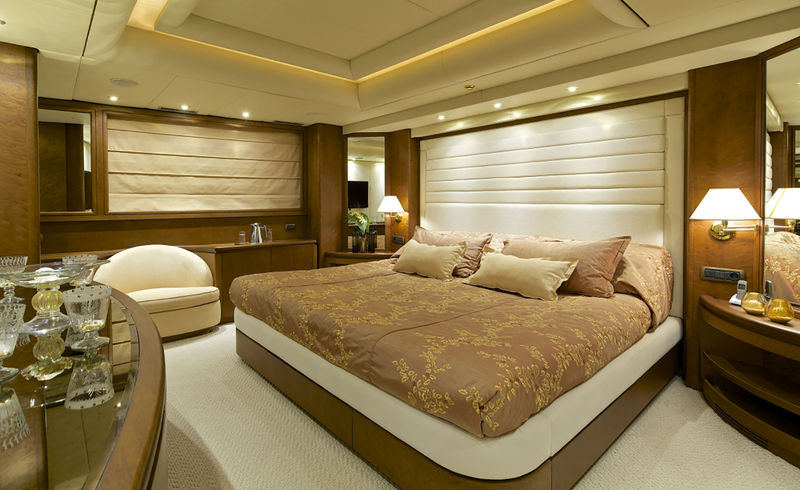 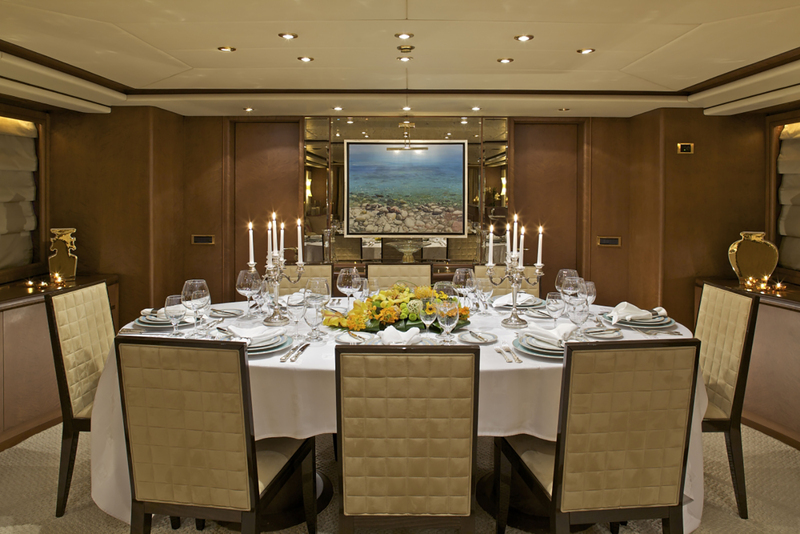 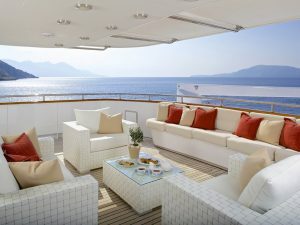 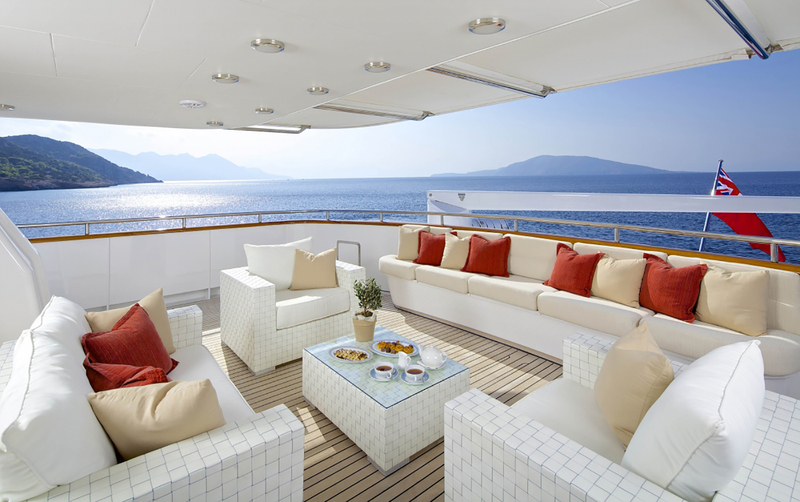 Her spacious external areas offer unforgettable moments in the open sea. 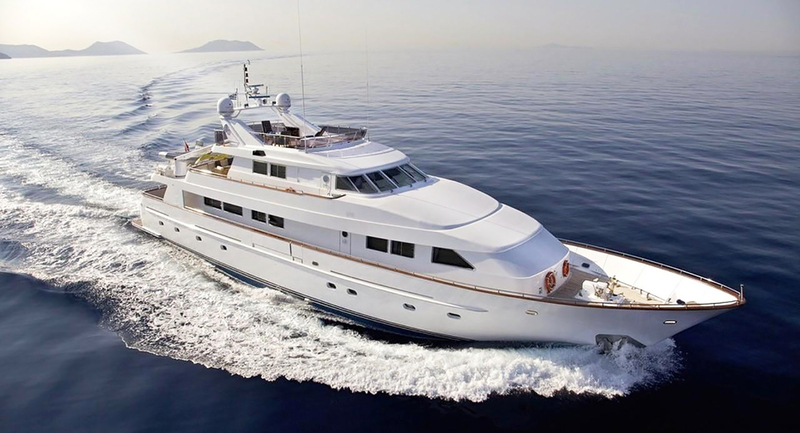 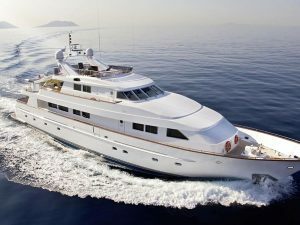 Built in steel and aluminum this beautiful BENETTI yacht was built in 1996 by BENETTI SAIL DIVISION and has been reffited numerous times, last in 2015. 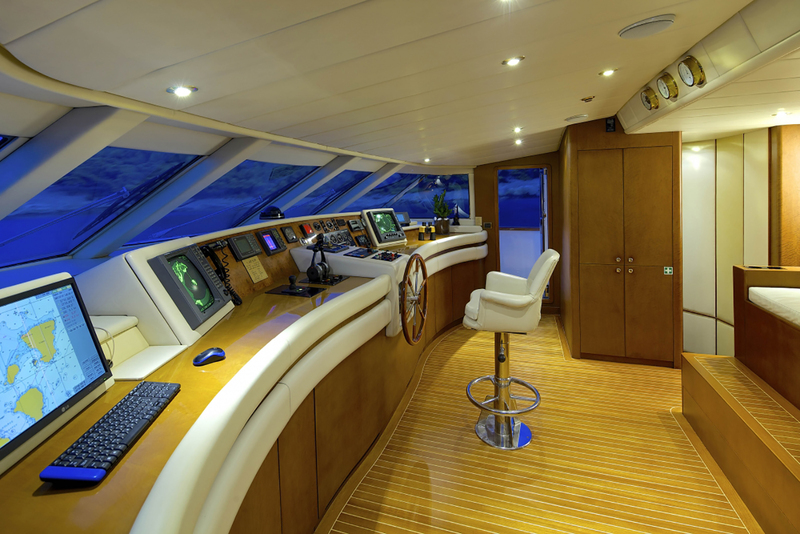 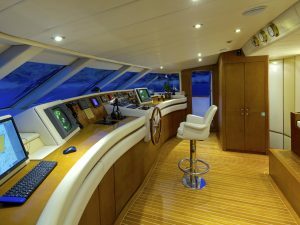 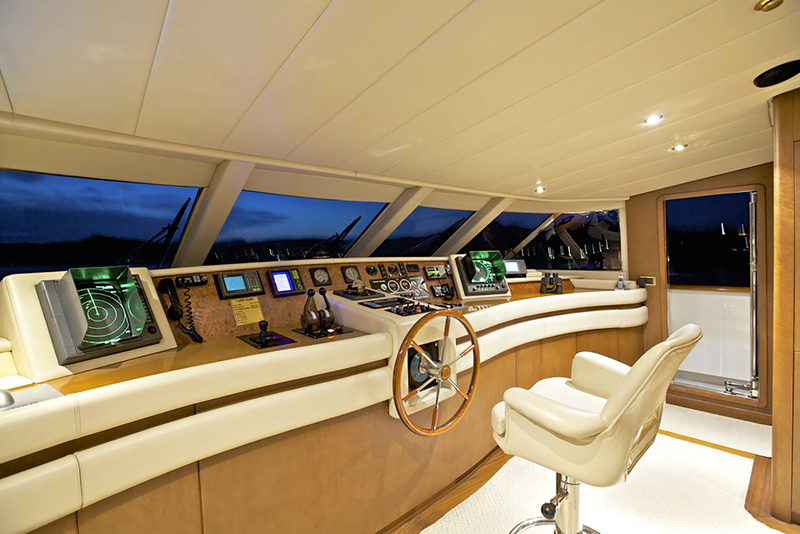 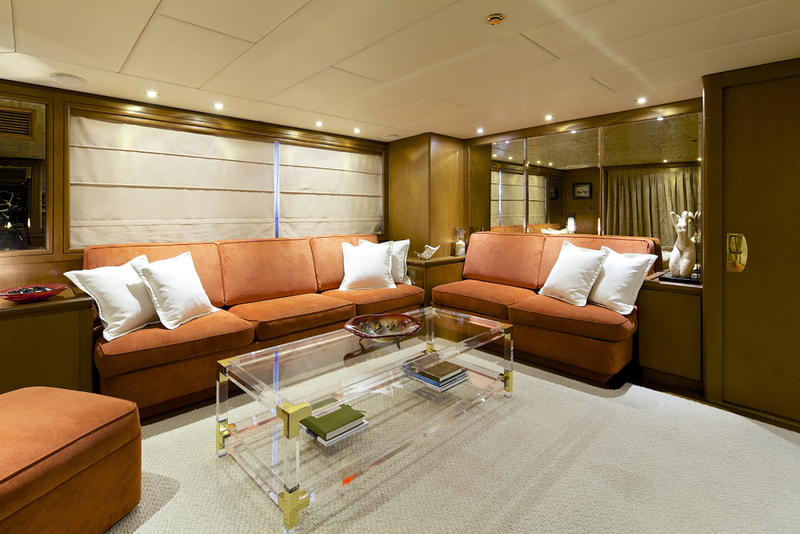 The main deck saloon is spacious and elegant with woodwork in satin varnished bird’s eye maple. 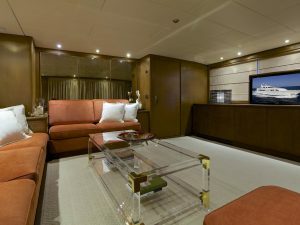 There are two large sofas, one armchair and a built in bar with a fridge and ice maker, while the entertainment centre houses a 32 inch Sony television screen and a Sonos home cinema system. 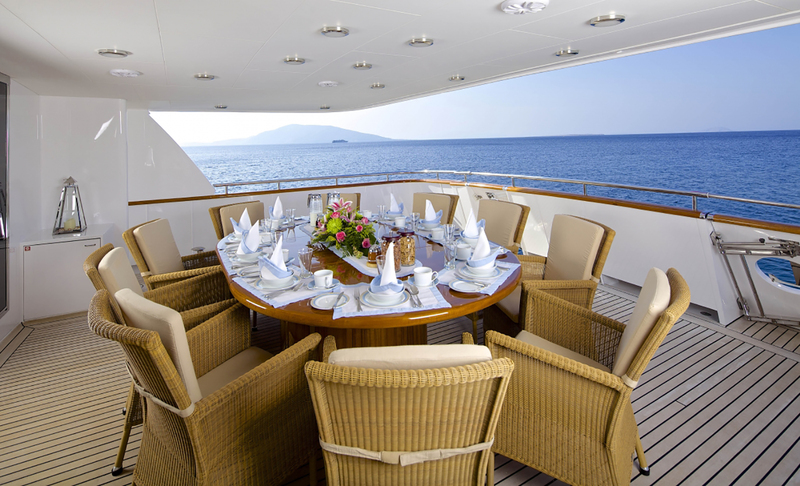 Forward is a formal dining area seating 10 guests. 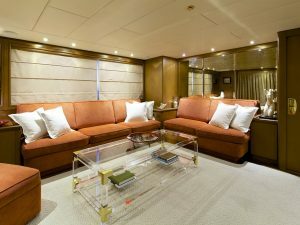 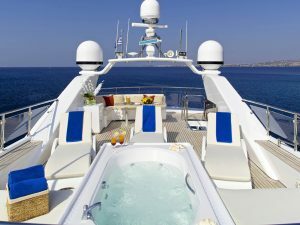 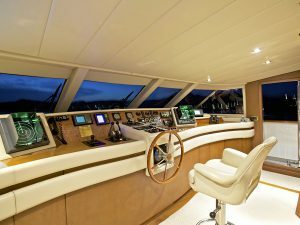 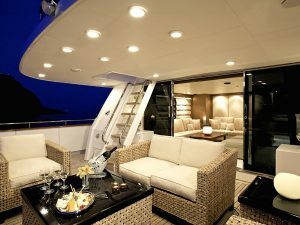 The large aft deck offers al fresco entertaining and dining with 10 armchairs and a huge table while up in the sky lounge are two built in settees, a side cupboard with fridge and bar storage plus an entertainment centre including a 40 inch LCD television screen and another Sonos home cinema system. 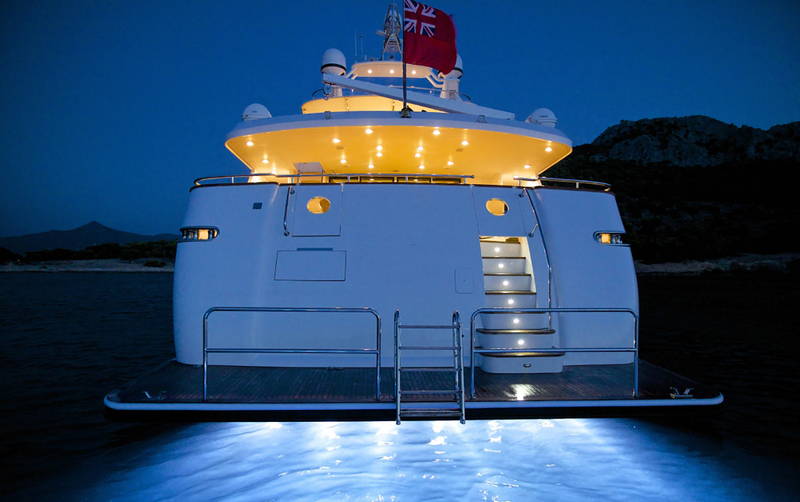 She is built to comply to MCA and Lloyds Register standards. 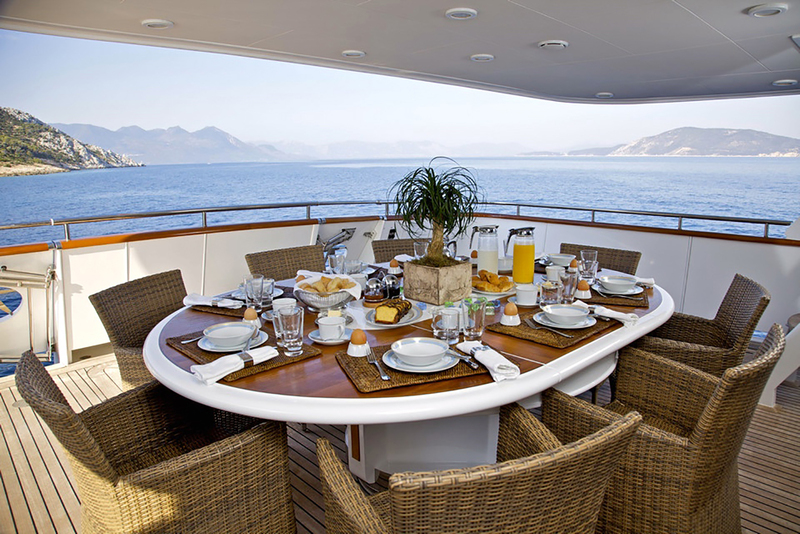 The yacht is capable of 15 knots flat out, with a cruising speed of 13 knots. 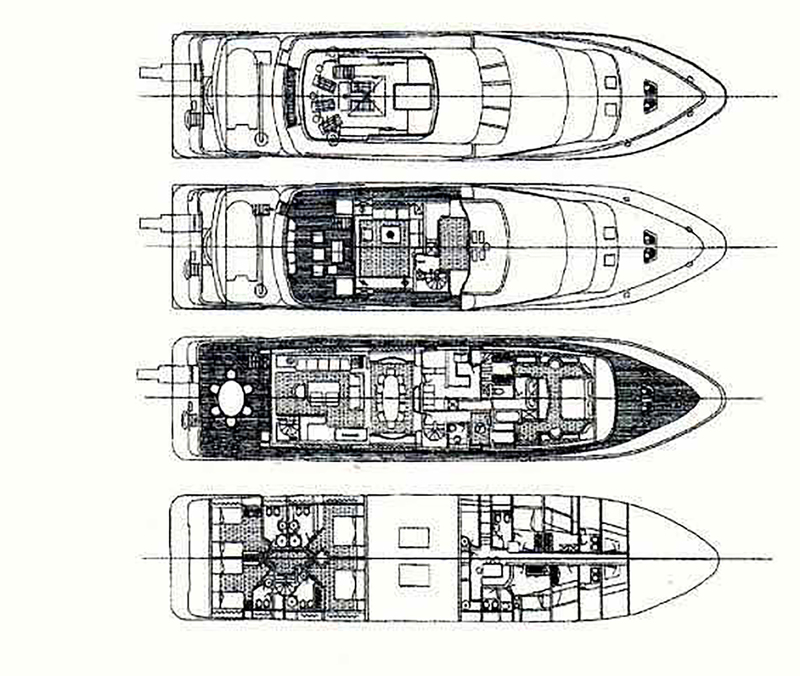 Twin Caterpillar 504hp diesel engines give her a range of 2,500 nautical miles at 11.5 knots and she is fitted with zero speed stabilizers.